Your Gamify has been released on Enkronos Apps in its first version on 03.05.2018. Your Gamify allows you to create and manage challenges and nested competitions, composed of different types of mechanisms. On the same initiative, you can involve your users with a basic questionnaire, a photo contest and instant victory based on destiny. You can decide to assign physical prizes for each competition, or only after the user has passed all the challenges. Prizes can be physical objects of your choice, virtual prizes “virtual recognition” of the user’s skills (badge, leaderboard etc. ), or even digital prizes of third parties, such as gift cards (Amazon Card, Apple Store & iTunes Gift Card, etc.). With Your Gamify you can create entertaining competitions and in addition acquire new users interested in you and your products and services. You can engage specific audiences in social networks, for example in Facebook by creating advertising campaigns aimed to a specific target, defined for example for aspects related to location, interests and demographics. Thanks to this mechanism you can build new pre-defined audiences of interested users and provide them with products, services and more targeted communication. 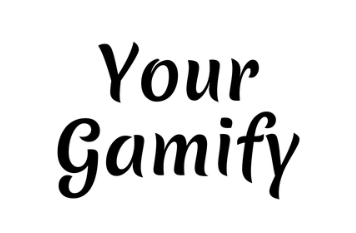 Your gamification will therefore be the starting point for a new relationship and communication with potential customers and users interested in your brand. This is an innovative and unprecedented way to create the perfect audience for your business identity that allows you to start a new profitable relationship with your customers. 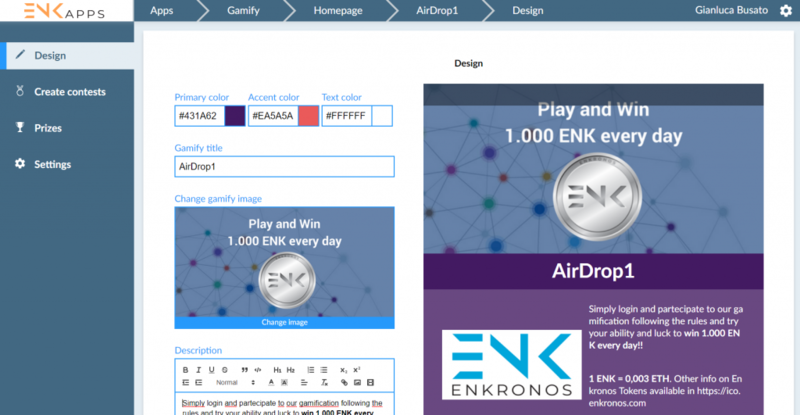 Starting from end of March 2019 Your Gamify, as all the Enkronos Apps, will be accessible by content creators only with ENK tokens. In order to collect ENK tokens you can join our ICO Private Sale phase, that will start in few days next 14 June 2018, with an amazing bonus of 80% as discounted price to buy ENK. This means that who will join our Private Sale can buy 1 ENK at the price of 0.0006 ETH (Ethereum), instead of the fixed ICO price of 0.003 ETH. To join our ENK Tokens Private Sale no KYC is required, you need only to get whitelisted from here: https://ico.enkronos.com/whitelist/.